Columbia Heights’ best days lie ahead, thanks to innovative vision and smart designs. Bring a neighborhood back from decades of disinvestment and neglect. 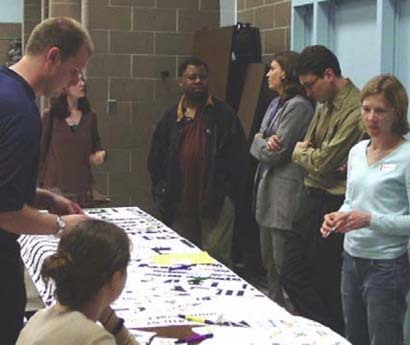 Recreate a public space, attract businesses back to the streetscape, and make a distinct break with the neighborhood’s troubled past in favor of a brighter future. Our designs at Columbia Heights earned Torti Gallas + Partners a Builder’s Choice Award and the ULI Award of Excellence for the Americas. One of Washington’s oldest neighborhoods, Columbia Heights had fallen on hard times by the end of the 20th century. The neighborhood was dilapidated, unsafe, and suffering from chronic neglect. Even the Italianate architecture of the historic Tivoli Theater had fallen into disrepair. Columbia Heights was once home to Supreme Court justices and luminaries such as Duke Ellington. 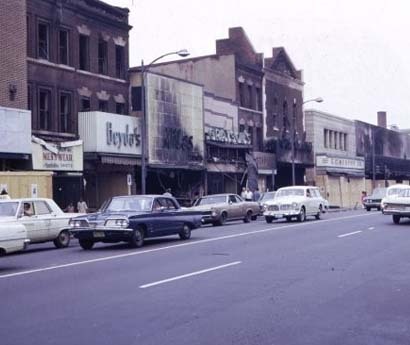 During the Civil Rights movement, Columbia Heights was the epicenter of the riots following the assassination of Dr. Martin Luther King, Jr. Businesses and families fled. 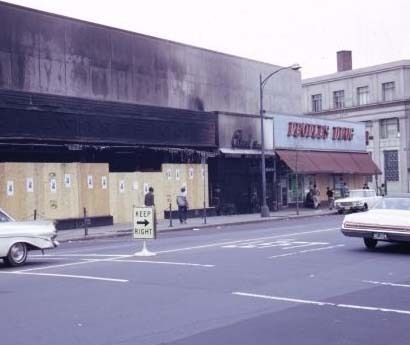 Burned-out and boarded-up storefronts remained so for decades. Columbia Heights entered a downward spiral that would last for a generation. 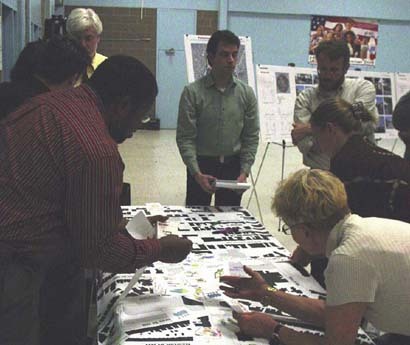 In 1999, the city announced a transit-oriented revitalization effort for the neighborhood. 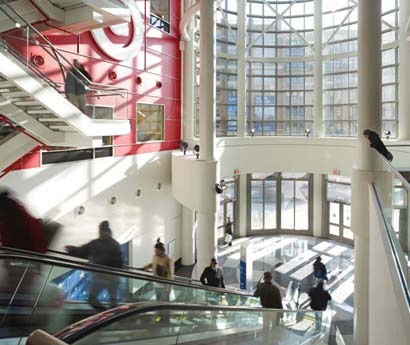 Torti Gallas + Partners was asked to capitalize on the gains made around the Columbia Heights Metro station. Our goal was not to return Columbia Heights to what it had once been, but rather to chart a new path forward for a diverse, vibrant neighborhood. Consultations with local leaders—both in government and in the community—would be essential to our success at Columbia Heights. Our first step was to establish free and open lines of communication with all stakeholders, so we could get a sense of what needs the community faced. Next, we began to explore options for dealing with an immovable object. One of the three parcels involved in this project included an existing cooling tower for the Columbia Heights Metro station. This tower had to be accommodated in our designs, and the city strongly preferred options that would disguise or otherwise hide this necessary eyesore. 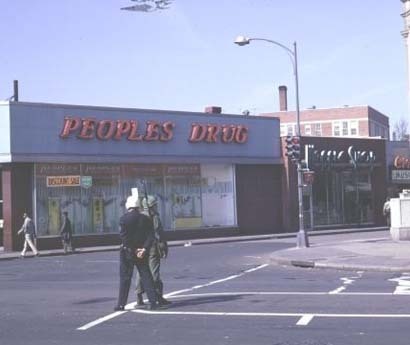 The city required a blend of market-rate and senior housing, along with street-level retail to attract pedestrians to the public space on 14th Street between Irving Street and Park Road. And while the streetscape was blighted by vacant lots and abandoned properties at the outset, there were several architectural elements that everyone agreed needed to be preserved and enhanced—notably the Mediterranean Revival architecture of the Tivoli Theater, which sits across the street from this project’s northernmost parcel. A restored Tivoli Theater promised to tie the neighborhood back to its golden age. 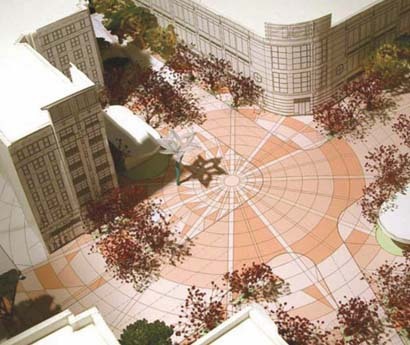 Our designs would be entrusted with guiding Columbia Heights into the future. Framing the public space, driving economic activity, and luring homeowners back to this corner of D.C. would be our goal. 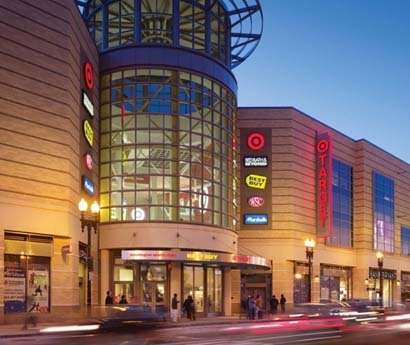 Our designs at Columbia Heights earned Torti Gallas + Partners a Builder’s Choice Award and the ULI Award of Excellence for the Americas, but the proof of our success lies not in a trophy case but in the busy shops and restaurants along 14th Street. 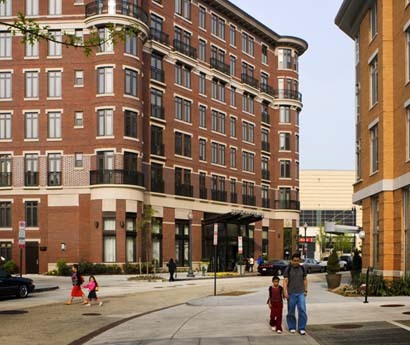 Today, Columbia Heights is one of the most desirable neighborhoods in our nation’s capital. From its topographic perch just north of Washington’s monuments, Columbia Heights always offered attractive views of someplace just beyond its borders. Now, it’s the rest of the city that looks to Columbia Heights for inspiration.